2. TAS : Deadly Ninja Warrior helps the Tasmanian FIAAI Tackling Smoking Team spread the message of the benefits of healthy choices. 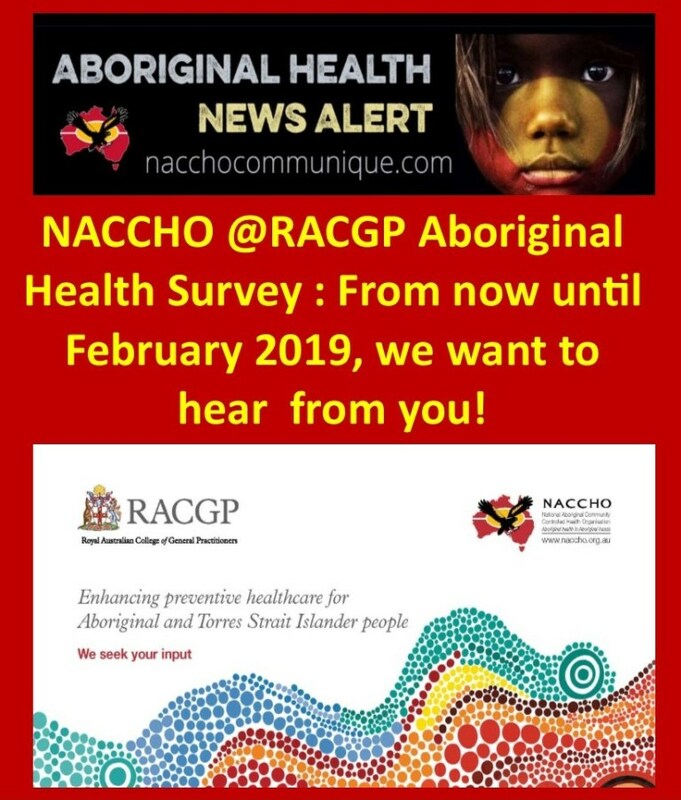 3.2 WA : AHCWA : Do you want to be an Aboriginal Health Worker? 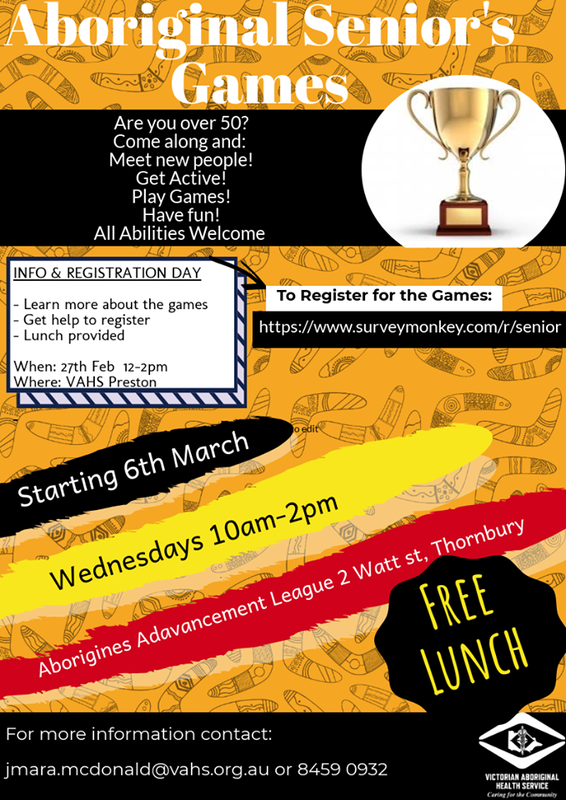 5.1 VIC : VAHS ACCHO Coming soon: Aboriginal Seniors Games!! 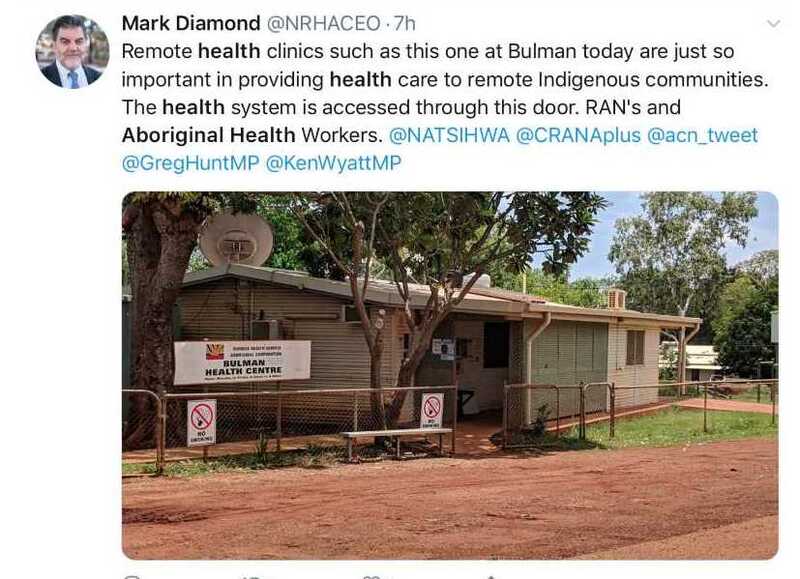 7.QLD : Apunipima’s ACCHO Mossman Gorge Clinic shares success of ACCHO’s with James Cook University’s School of Medicine and The University of Saskatchewan’s College of Medicine. 9. SA: Pika Wiya Health Service Aboriginal Corporation officially reopened the doors to the Davenport Health Clinic on Monday, January 14. 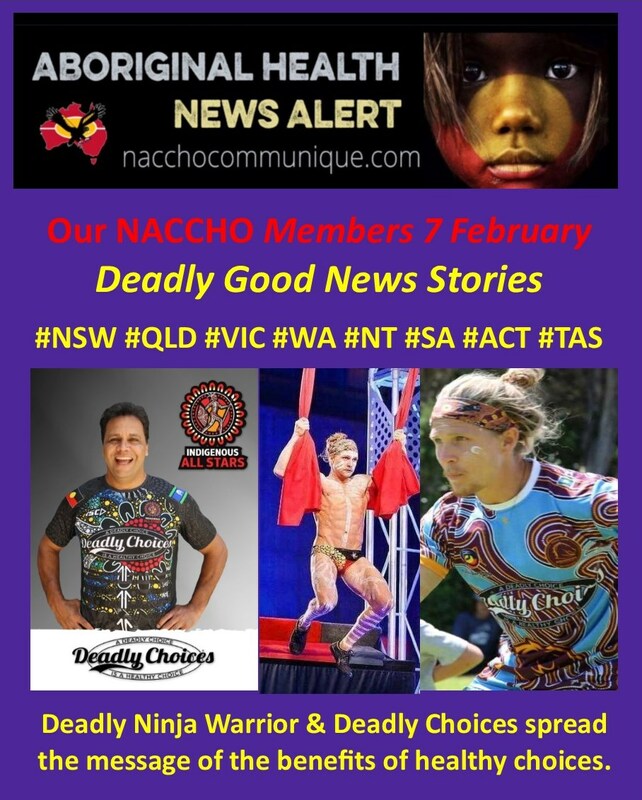 How to submit in 2019 a NACCHO Affiliate or Members Good News Story ? 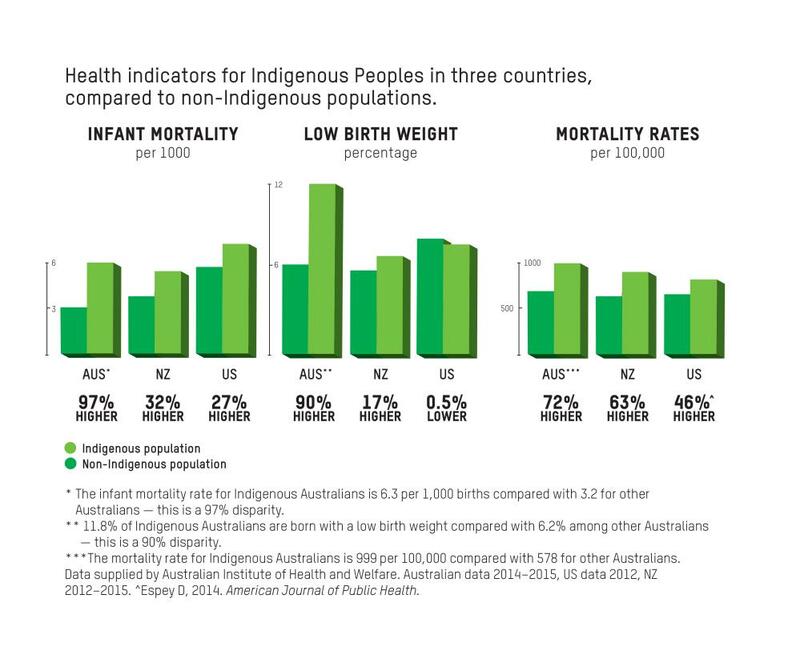 ” The widening and persistent deficit in the health of Aboriginal and Torres Strait Islander Australians is arguably the nation’s biggest policy failure, but Aboriginal communities are fighting back and showing how to close the gap, . When the very first Aboriginal medical service opened its doors in a small shopfront in Sydney’s inner-city Redfern in 1971, the leaders who launched it showed enormous guts, resourcefulness and vision to address the very poor health of their people. Almost five decades later, there are now about 145 such medical services located around Australia, with the vast majority run by boards comprised of Aboriginal people. Each year, they provide care to around 350,000 people. 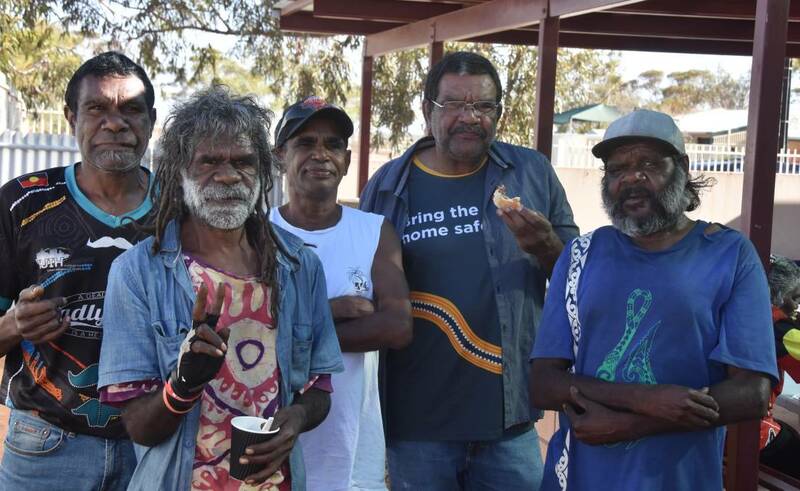 Despite the efforts of these trailblazers, Aboriginal people are still missing out on primary and preventative health care, and this explains why we are failing as a nation to close the gap and achieve Aboriginal health equality. Dr Paul Cleary is Oxfam Australia’s Indigenous policy and advocacy lead. Professor Ian Ring AO is a distinguished expert in public health and epidemiology. 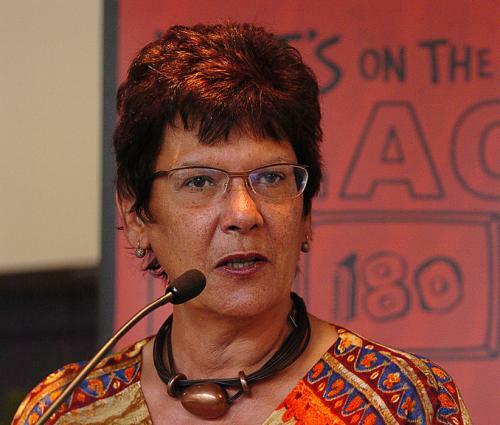 ” The Government’s justifying more funding into mainstream services by arguing that ACCHS only service around half of the Indigenous population ignores the strong preference of Indigenous people for community-controlled health. After winning the Monash Chair of Australian Studies, Georgetown University she moved to Washington DC as Professor of Australian Studies. She was the inaugural CEO of NITV and was appointed NACCHO Chief Executive Officer in April 2016. The Sir Roland Wilson PhD scholarship program has recently been extended to now include the Patricia Turner Scholarship program. The Foundation decided to name it after an influential, significant and impressive Indigenous woman. She was considered a trailblazer in the APS and her legacy of encouraging her staff to seek out and undertake educational opportunities was certainly something to be celebrated. That Pat came from humble beginnings and had to repeatedly prove herself against a system of societal inequality, was somewhat reminiscent of Sir Roland Wilson’s beginnings. He was from a very working-class background and was awarded a scholarship to study at Oxford. 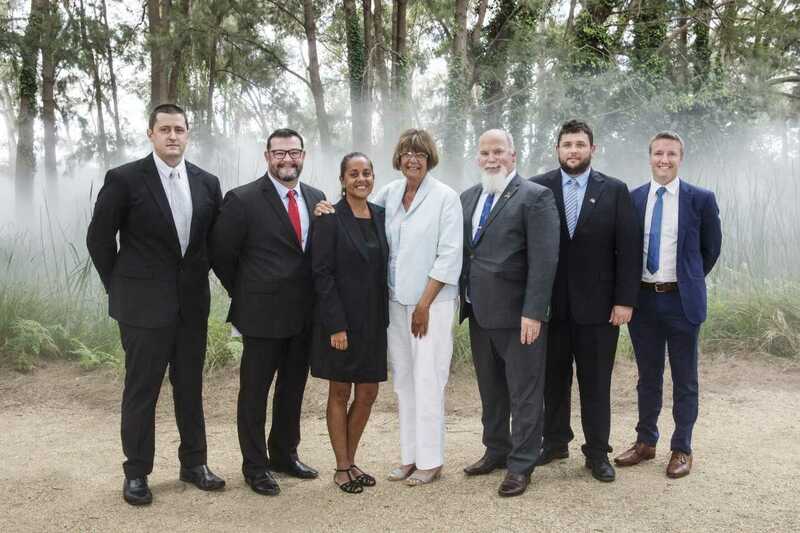 In August 2018 SRWF held selection interviews for the inaugural Pat Turner Scholarship. We had 17 APS agencies participating and actively promoting the opportunity to their staff. Each participating agency conducted its own internal selection process and 13 nominations were forwarded to us. The Selection committee shortlisted 11 applicants to interview. NACCHO congratulates the recipients and wished them well in their chosen fields of studies. JACK WILSON or as he’s known, The Deadly Ninja Warrior was in Tasmania during the month of January to help the FIAAI Tackling Smoking Team spread the message of the benefits of healthy choices. 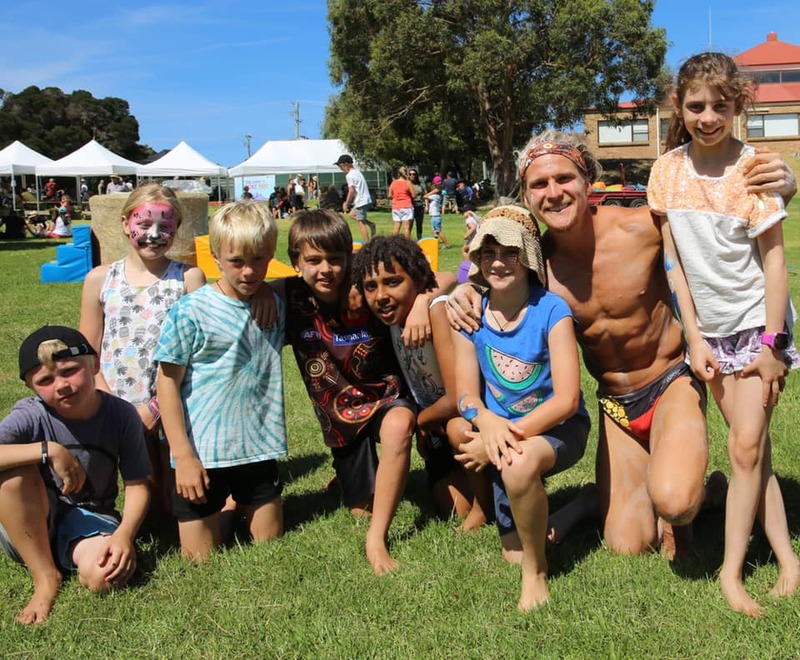 Jack is mostly known for his athleticism and skills on the widely popular TV show Ninja Warrior but he is also passionate about educating and inspiring communities to be the best versions of themselves. 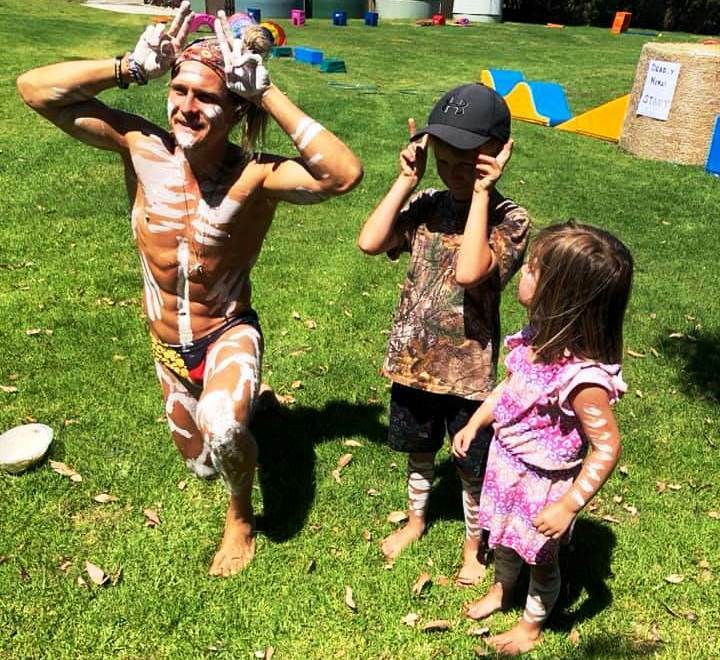 Jack started his Tasmanian journey down South at the Huon Valley PCYC sharing his story and engaging with the kids in a workout at a community event in partnership with the South East Tasmanian Aboriginal Corporation. The event also incorporated a large number of other community organisations and services, such as the Tasmania Fire Service, SES, Misha’s Mates, Quit Tasmania, Tasmanian Aboriginal Legal Service, The Heart Foundation plus many more. Jack’s next appearance was at The Link Youth Health Service in Hobart City with 17 eager attendees. Leaving the youth inspired, Jack headed just around the corner to another youth group to spread the message even further. ‘It was a very engaging session’ said Simon, Team Leader at Youth Arts and Recreation Centre. Jack and the Tackling Smoking Team then headed north to visit a Detention Centre and the Launceston PCYC to further reiterate this important message and put them through their paces with a deadly ninja workout. 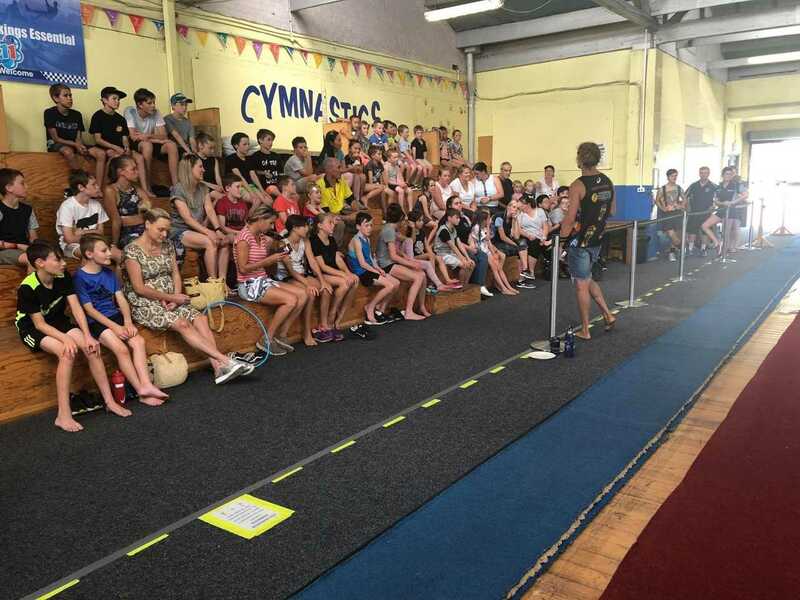 40 keen participants attended the event at the Launceston PCYC with one participant lucky enough to engage in a one on one training session with Jack after the event. Aaron Gornalle of Launceston now hopes to make it onto the next season of Australian Ninja Warrior. 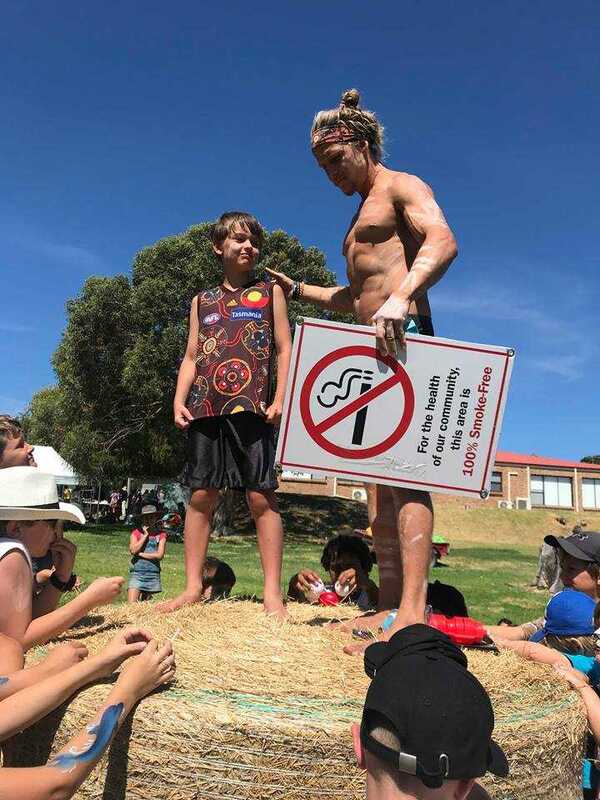 The final hoorah landed Jack and the team on Flinders Island at the Furneaux Islands Festival where Jack took a huge portion of the Island’s youth through a large scale ninja obstacle course and discussed that in order to be at your peak, there is no room for unhealthy habits like smoking! 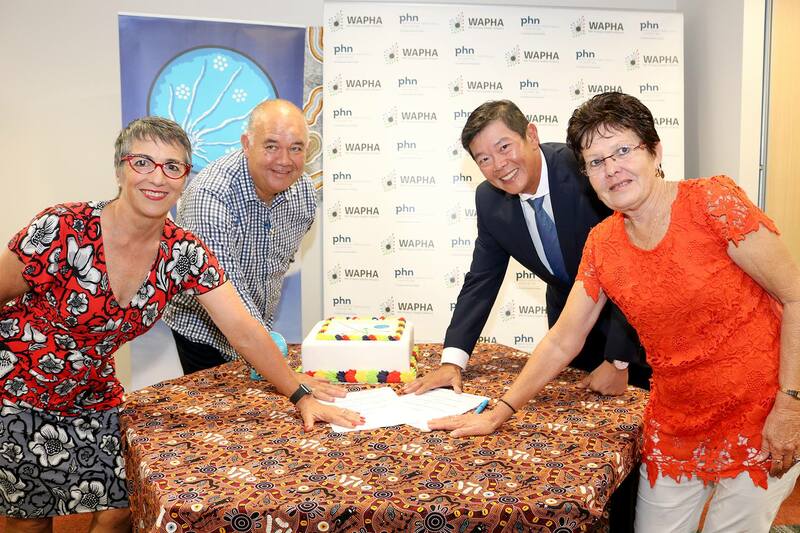 This week , AHCWA and the WA Primary Health Alliance (WAPHA) signed an MOU with the key objective for both parties to adopt a shared and coordinated approach in seeking to address the health and wellbeing needs of the Aboriginal population in WA in the most efficient and effective manner possible. AHCWA can help you achieve this, places are still open for the 2019 intakes. 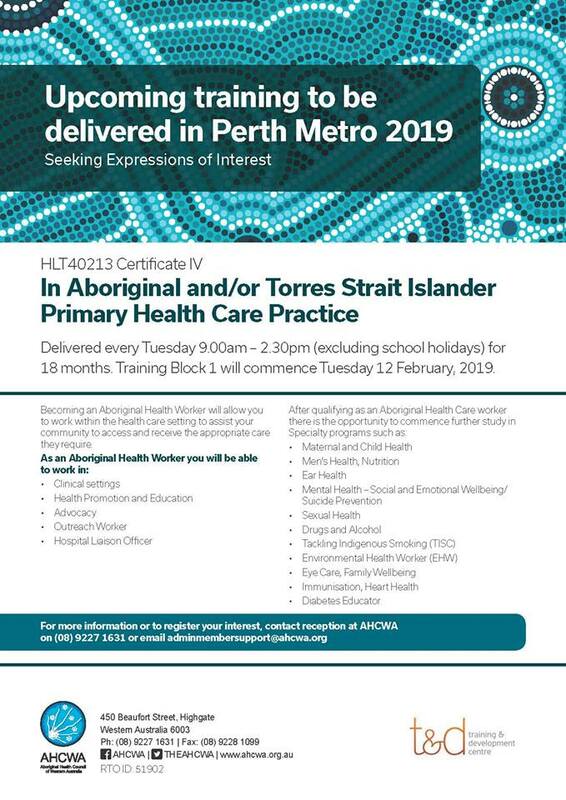 Becoming an Aboriginal Health Worker will allow you to work within the health care setting to assist your community to access and receive the appropriate care they require. Contact adminmembersupport@ahcwa.org for more information. Wellington Aboriginal Corporation Health Service are active members of the “Welcome Here Project”. What is this project, you ask, well the Welcome Here Project is the new Safe Place Project. The Safe Place Project started in 1998 in response to high levels of street based violence directed at Lesbian, Gay, Bi, Trans, Intersex and Queer (LGBTIQ) people. Local businesses signed up to become a ‘Safe Pace’ by putting a sticker in their shop front to let LGBTIQ community members know they could seek refuge if they were under the threat of violence. 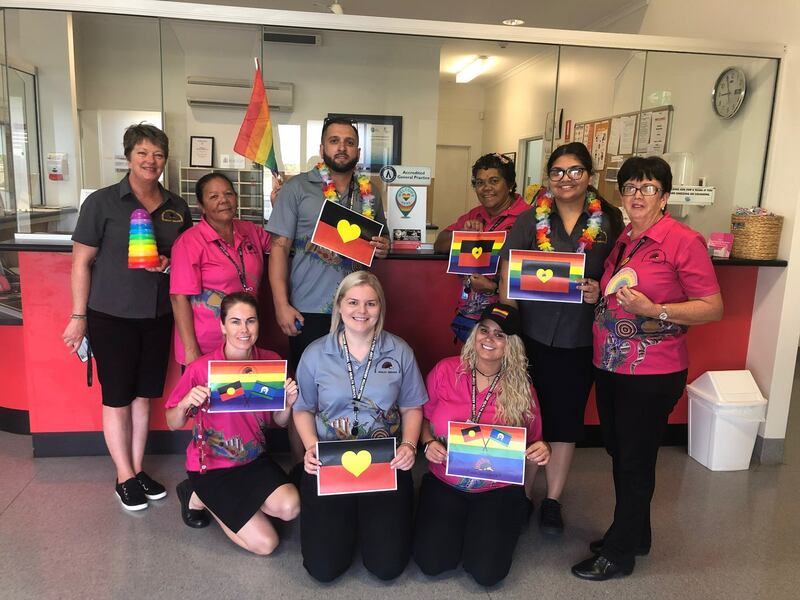 Check out the deadly staff and their support for the LGBTIQA+ community! “My name is Mark Scott but my mates call me Baldy. 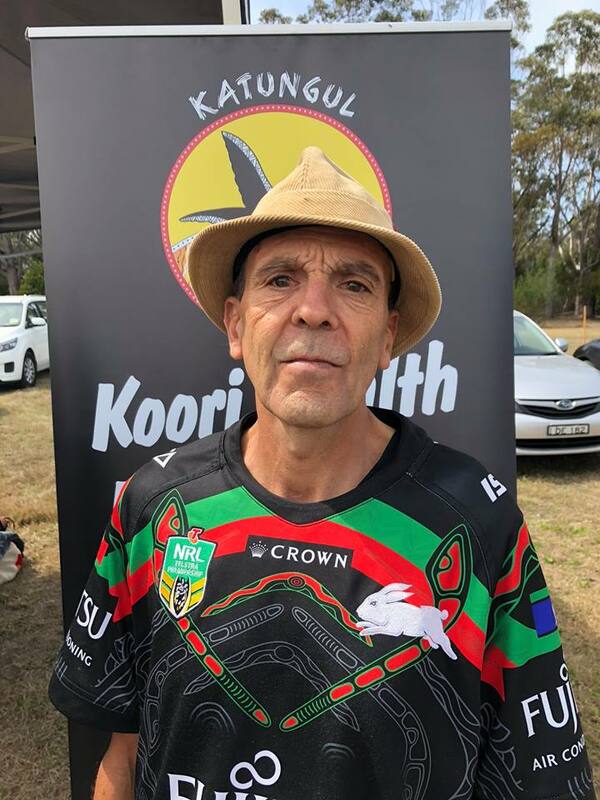 I’m a Wiradjuri man and I’m pretty open with my past – if by sharing my story, I can help someone else then that’s a good thing. I was using heroin for 14 years, in prison on-and-off for 14 years and an alcoholic for 17 years and I’m only 56. I credit Katungul for the life I live today. Rohan Moreton (Katungul Drug and Alcohol Community Support Worker) convinced me to go up to Oolong House in Nowra (Oolong House provides residential treatment for Aboriginal and non-Aboriginal men who wish to regain their lives and manage problems linked to alcohol and other drugs) and since I graduated from that program I’ve been drug and alcohol free. I have my own place to live, I got my driver’s license, and I even present two hours a week on 2SeaFM community radio. What makes me most proud though is that I’m back in touch with my kids and grandkids. Want to get out of the house or know a family member who does. Whilst getting active, meeting new people and most importantly having fun! Then come along and check it out. This is a program not to be missed. Need help registering? Want to learn more about the games? Come along to our registration and info day on the 27th Feb 12-2pm at VAHS Preston. Lunch provided! Recommendations from the independent Moss review “So Much Sadness In Our Lives” which examined the 2016 death in custody of indigenous detainee Steven Freeman. 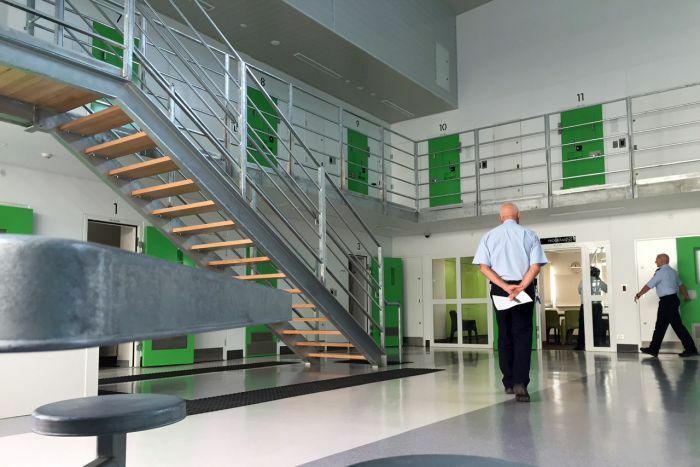 An independent review into the “health” of Canberra’s prison, the first of its type for any Australian correctional centre, is inviting public submissions and commentary as part of an extensive report to be tabled in the ACT Assembly mid-year. 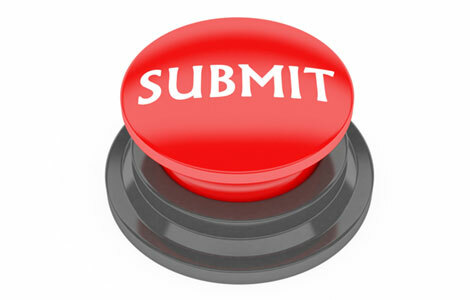 Submissions are now open, and close on May 1. The ACT Inspector of Correctional Services said that the “healthy prison review” welcomes input from all interested parties including corrections staff, community organisations, unions and the academic community. Detainees at the prison are also invited to submit, anonymously if wished, with a stated preference by the inspectorate for all submissions to directly address one or more of the four “pillars” of the review framework. rehabilitation and preparation for release. Submissions should not raise complaints about the treatment or conduct of named individuals although anonymous case studies are permitted. The inspectorate’s role, in reporting directly to the ACT Assembly, is to deliver an independent assessment of Canberra’s prison and services. The role was established as a government response to the recommendations from the independent Moss review “So Much Sadness In Our Lives” which examined the 2016 death in custody of indigenous detainee Steven Freeman. The prison treatment of Freeman over a lengthy period prior to his death highlighted deficiencies in the prison’s systems, facilities and detainee treatment. These issues included the mixing of remandees with sentenced prisoners, prisoner boredom, poor CCTV surveillance coverage, a lack of opportunities to learn a skill or trade, illicit drug use, and the delivery of health services. In its submission to the Moss review, the Winnunga Aboriginal Health Care service said that the “bashing, care, treatment and death of Steven Freeman [had been] characterised by a lack of transparency, accountability and of secrecy”. The prison’s inspector, Neil McAllister, is permitted to conduct unannounced visits to all correctional centres, including the cells underneath the ACT court buildings. He works alongside, but separate from, other oversight mechanisms such as the ACT Human Rights Commission, the ACT Ombudsman, the Public Advocate and the prison’s official visitors. Primarily, his review is seeking to ascertain whether vulnerable detainees at the prison, such as those with mental health issues or cognitive impairment, are being held safely, and whether staff are able to work in a “safe and supportive” environment. It will also examine whether human rights and dignity are respected within the prison. It will seek to determine whether detainees are “able, and expected to engage in activity that is likely to benefit them”. Finally, it will assess whether prisoners have access to programs and services which will assist and prepare them for a life outside the prison. Submissions can be addressed to the office of the inspector of correctional services at http://ics@act.gov.au. 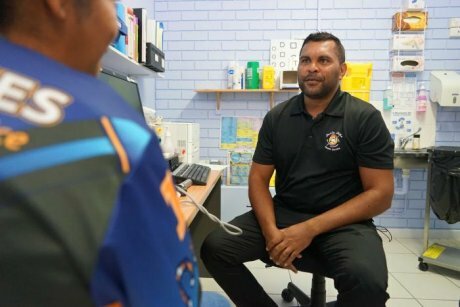 7.1 QLD : Apunipima’s ACCHO Mossman Gorge Clinic shares success of ACCHO’s with James Cook University’s School of Medicine and The University of Saskatchewan’s College of Medicine. 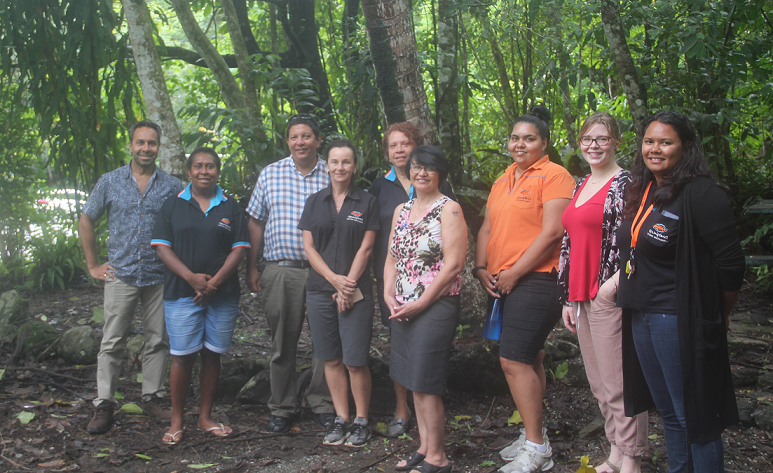 This week the team at Apunipima’s Mossman Gorge Clinic spent time with representatives from James Cook University’s School of Medicine and The University of Saskatchewan’s College of Medicine. 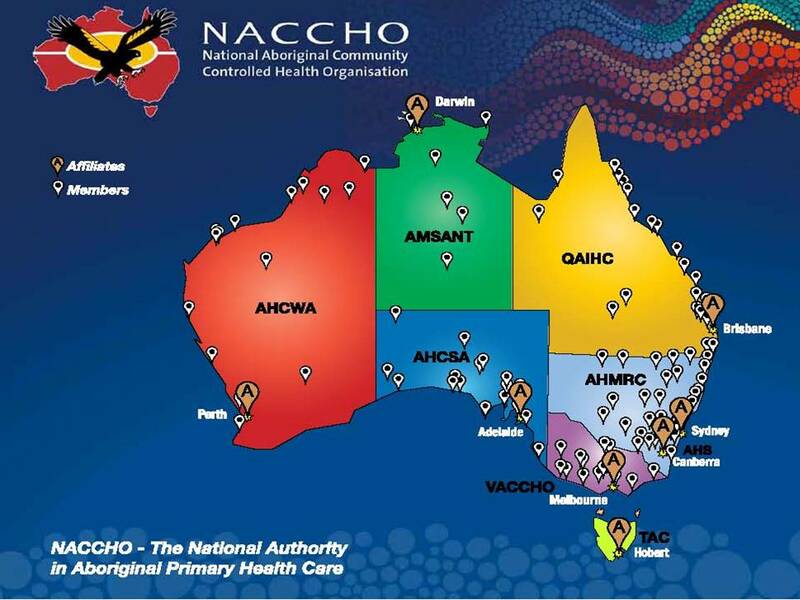 The Canadian visitors have spent their time in Australia learning more about Aboriginal Community Controlled Health Organisations (ACCHO). Visiting a number of services across North Queensland which has given them a good insight. “Health care for Indigenous people in Canada is delivered in a far more traditional way than what we have seen here. I am impressed by the level of consultation and how different disciplines work together to deliver the best results for the patient.” said Carlyn Seguin, who oversees the Global Health Certificate at the University of Saskatchewan. Students studying the Global Health Certificate with the University of Saskatchewan have the opportunity to apply for an international placement as part of the program. Placements in Australia are facilitated by James Cook University’s School Of Medicine, a partnership that is now entering its fourth year. “JCU’s partnership with the University of Saskatchewan provides a valuable opportunity to develop a collective global voice for Indigenous health needs, concerns and successes.” said Tarun Sen Gupta, Professor of Health Professional Education at James Cook University. 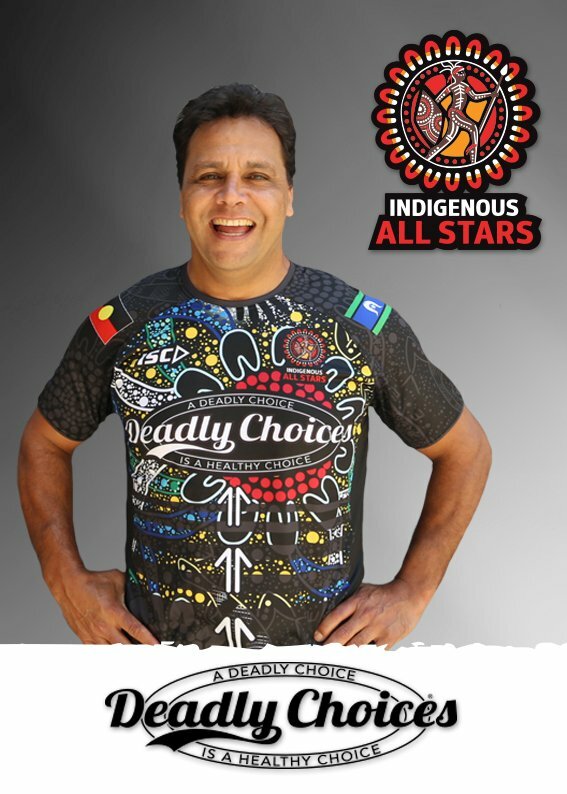 Just in…the limited edition @DeadlyChoices Choices All Stars shirts. Get in quick to get yours at your health check (715)! “In [these] clinics, the decisions are made at the local community level and the response is fairly quick. In the government clinics, I’d imagine there’s a hierarchical structure and people get frustrated. 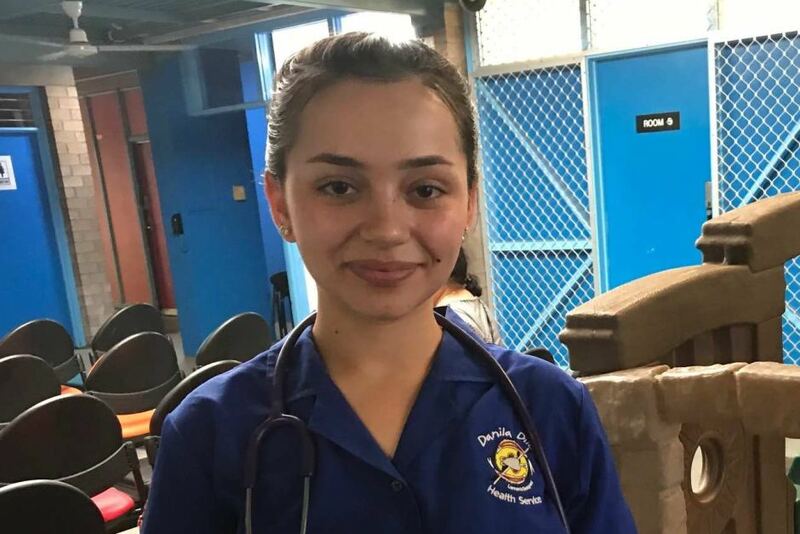 Training put strains on some hopeful AHWs, with more demands on them today to travel away from their base clinics — which are also often their home communities — to learn in Alice Springs or Darwin. This puts a lot of strain on families, particularly families with young kids and single parents. Once trainees graduate, many get burned out by the job, especially those working in remote locations. 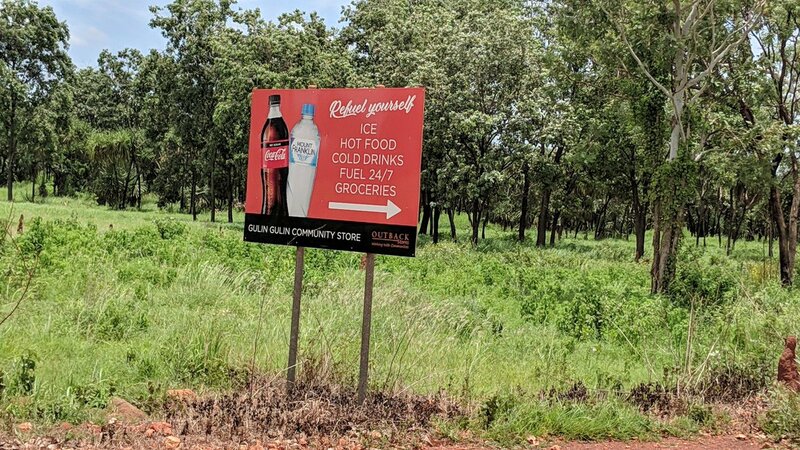 The real challenge is to encourage and offer the proper incentives and renumeration to reward those who do want to undertake that particular work in rural and remote Northern Territory,” he said. 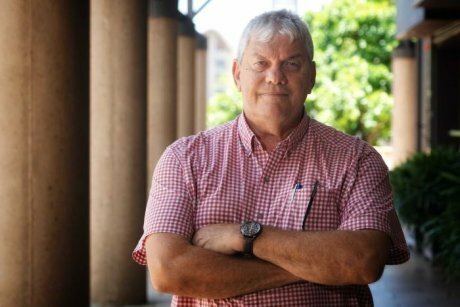 Data obtained by the ABC shows the number of registered Aboriginal Health Workers in the NT fell almost 17 per cent over six years, even though almost a third of the Territory’s population is Indigenous. “I get to help my mob,” Ms Peacock said. “I find that in consults, if a doctor is doing consults first and we do it after, we get more information than what a doctor can do,” he said. “While our numbers are declining, we have not cut positions,” the spokesperson said. “If anything would stop me doing this job personally, it’s the location of where I study,” she said. The NT Health spokesperson said the department was, “developing a workforce strategy that will have a clear career path with the appropriate support mechanisms to attract and retain” the workers. “Including looking at ways Aboriginal students are supported while they are studying, often away from their country,” they said. “So I’m hoping that what people is doing is taking slightly different career paths,” she said. “We’ve got to get that balance right,” he said. The clinic has been closed for several months due to a “lack of staff and the ongoing problem with the recruitment of doctors”, but is now back in business, giving Davenport residents a closer option for their health requirements. Image above : BACK IN BUSINESS: Staff members Alan Morris, Tony Carroll, Amy Walters, Lynette Allen, Cindy Koolmatrie and Tracy Reid. Pika Wiya CEO Alan Morris said the return of the health clinic was “long overdue”. “We decided to address the needs out here,” Mr Morris said. “For the first six months, we’ll be seeing and assessing what those needs will be by looking at the patient numbers coming through. 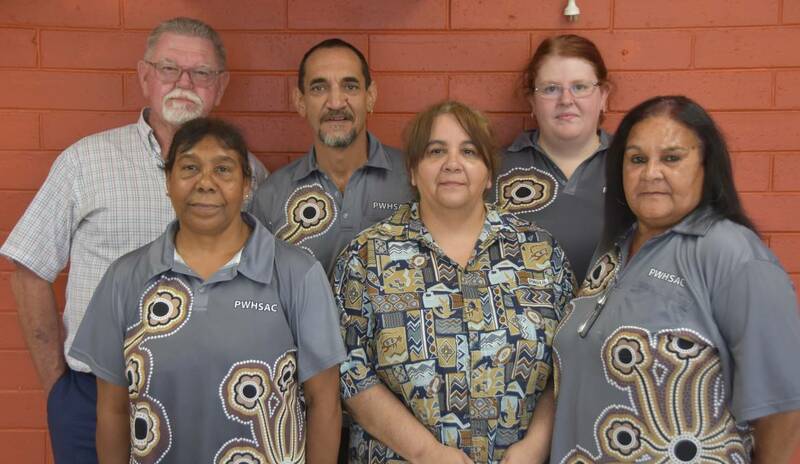 Pika Wiya’s healthcare is available to the Aboriginal population in Port Augusta and surrounding towns, with about 3200 active customers and patients accessing the medical service. With the Port Augusta centre on Dartmouth Street facing an influx of patients during the summer months, Pika Wiya began working towards reopening the Davenport clinic. Mr Morris said Pika Wiya’s board, as well as the Davenport community, were keen for the clinic to reopen. “Patients could have transport issues. They might not be able to access (the Port Augusta centre),” Mr Morris said. Davenport community members gathered at the clinic on Monday morning to celebrate the opening, with staff hosting a barbecue breakfast. Mr Morris said the event was a good opportunity to let the community know that the doors were officially open. “It was just a chance for us to say ‘here we are, we’re back and we’re going to be operating again’,” he said. Patients will have access to general practitioners and Aboriginal health workers at the refurbished clinic. For more information about the clinic, contact 8642 2556.